I am inspired by my patients on a daily basis, and always enjoy getting to know them personally. I know that each patient and parent puts complete trust in my abilities, and I take that responsibility very seriously. I have been practicing since 2000 and have taken every opportunity to improve my skills and expand my knowledge. 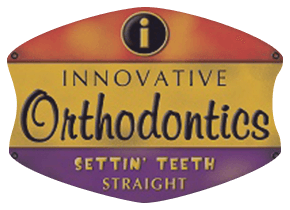 Innovative Orthodontics has been proud to serve families in Cape Girardeau, Jackson, Perryville, and Sikeston with effective orthodontic treatments and beautiful smiles since 1971! Dr. Terry Spence and his wonderful staff provide a friendly and family-oriented atmosphere where everyone feels right at home. 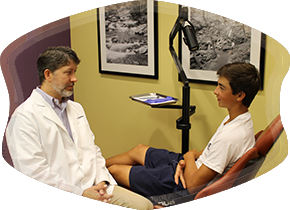 Dr. Spence utilizes the most advanced and comfortable treatments for his patients, including braces for children, teens, and adults. He also offers Invisalign® clear aligners, Radiance™ clear braces, and SureSmile® digital orthodontic technology. Come in and meet our team, and we will talk with you about all the possibilities orthodontic treatment can offer. Every patient is different, and Dr. Spence will customize your orthodontic experience to meet your needs and your lifestyle. Schedule a complimentary consultation at our Cape Girardeau, Jackson, Perryville or Sikeston orthodontic offices today, and discover your most beautiful, healthy smile! Kim "I know what an investment orthodontics can be, but I also know that Dr. Spence and his team stand behind that investment and continue to help the patient years into the future to maintain that beautiful smile. 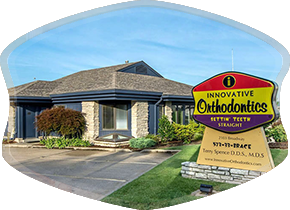 If you are looking for an orthodontist who is extremely qualified and talented, yet truly cares about his clients and staff, as well as a friendly, caring, Christian atmosphere where you are treated like family, then check out Innovative Orthodontics. Our family is truly blessed that we did that so many years ago." Tamilla "Whether it was a softball to the face or a fork prying off braces, nothing was too extreme for Dr. Spence and his team to calmly handle. We are so blessed to have worked with compassionate professionals who not only are experts in their field of orthodontics, but are also committed to providing a positive experience for all patients, even those who require a little extra love and attention." Kendra "My ten-year-old son was apprehensive about getting his palate expander. Dr. Spence and his staff did a great job of making him comfortable. He was more than happy to go to appointments and loves the staff at the office. The facility and staff is top-notch, timely. and efficient in scheduling and appointments. We couldn’t be happier with Innovative Orthodontics."